All individuals inherit two copies of most genes in their DNA. You inherit one set of genes from your mother (maternal genes) and one set from your father (paternal genes). 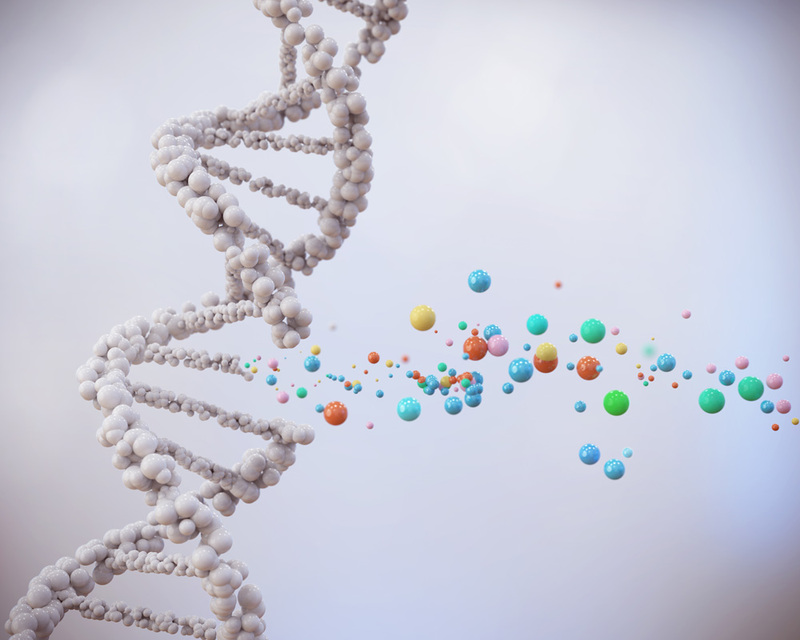 Each gene is a code or set of instructions that your body’s cells follow to make proteins, including enzymes. These proteins and enzymes determine how your cells and tissues grow, develop, and function. Sometimes a gene’s code is altered. Genes that have been altered are called variants. Most human genes contain many naturally-occurring gene variants. A gene variant may alter how a cell makes the protein or enzyme that is coded by that particular gene. Most gene variants are benign, which means they do not cause an alteration in the function of the protein or enzyme. Sometimes, the gene variant results in an altered protein or enzyme that doesn’t function normally. These variants are considered pathogenic when the dysfunctional protein causes a disease. Congenital Sucrase-Isomaltase Deficiency (CSID) is an inherited disorder caused by a variation in the gene that codes for the enzyme sucrase-isomaltase. This means that in individuals who are affected by CSID, the gene that codes for the sucrase-isomaltase enzyme is altered in such a way that the patient’s cells are unable to produce functional sucrase-isomaltase. One may inherit one copy of a gene variant from one parent, or two copies of a gene variant, one from each parent. Most genetic disorders result from a recessive pattern of inheritance, which means there are two variant genes (one from each parent). While the symptoms of a genetic disorder are usually strongest when two copies of the gene variant are inherited (recessive), symptoms of CSID may also be present in those who have inherited only one copy of a gene variant that alters the function of the sucrase-isomaltase enzyme. In addition, people who have inherited one copy of a gene variant are called carriers, because their children may inherit the gene variant from them. Researchers have not yet studied all the gene variants that cause CSID. For this reason, there may be individuals who have had CSID from birth or early childhood who do not have one of the gene variants currently known to be associated with CSID. It is possible that a significant proportion of children and adults affected with CISD are not being tested for CSID, and therefore are not being properly diagnosed or adequately treated. Because the gastrointestinal (GI) symptoms associated with CSID are similar to many other GI disorders, such as irritable bowel syndrome (IBS) or toddler’s diarrhea, some researchers believe that many of those who are diagnosed with IBS may actually have undiagnosed CSID. Further studies are underway to determine the prevalence of CSID in individuals who have been diagnosed with IBS or toddler’s diarrhea. Uhrich S, Wu Z, Huang J, Scott CR. Four mutations in the SI gene are responsible for the majority of clinical symptoms of CSID. J Pediatr Gastroenterol Nutr. 2012; 55(2):S34-5. Naim HY, Roth J, Sterchi EE, et al. Sucrase-isomaltase deficiency in humans. Different mutations disrupt intracellular transport, processing, and function of an intestinal brush border enzyme. J Clin Invest. 1988;82(2):667-679.